Advocate: New Investment in Affordable Housing Will Help End Homelessness in N.H.
Cathy Kuhn, director of the New Hampshire Coalition to End Homelessness, is hopeful state leaders will embrace a proposed $20 million, two-year investment into affordable housing. Efforts to end homelessness could get a major boost this year in New Hampshire. Cathy Kuhn, the director of the New Hampshire Coalition to End Homelessness, says there is bipartisan support for a proposed $20 million investment over two years into the state’s affordable housing fund. 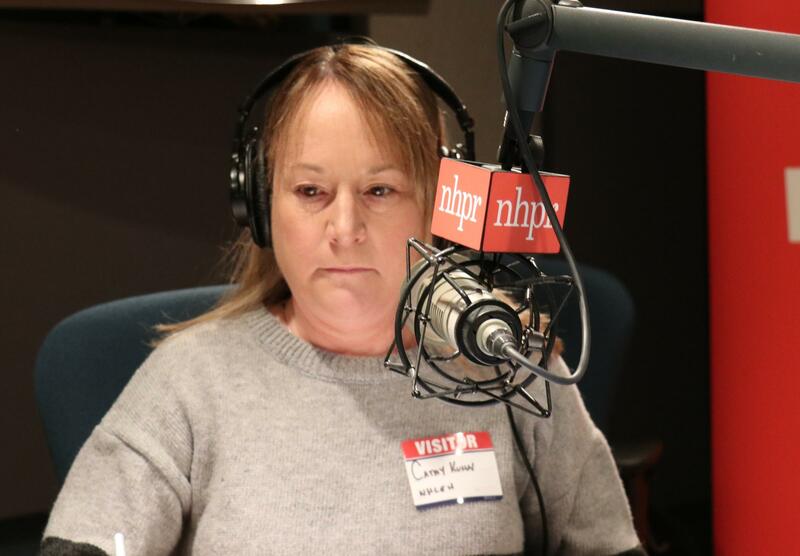 “We are so excited about the potential for this bill and the potential impact that it could have because what it does then, the state makes that investment and we’re able to leverage those funds from other private and public resources," she said Thursday on NHPR's The Exchange. Housing advocates have had limited success in funding requests in recent years. "Last year, or during the last (budget) cycle, we got $2.5 million," she said. "We asked for $25 million. We got $2.5 -- and great, we're thankful. But it's not enough. It's not enough to make a real impact." The Coalition to End Homelessness reported in December that the number of homeless in New Hampshire increased 10 percent from 2016 to 2018. The homeless estimate is 1,450. She noted there are 146 families currently on the wait list for 11 family units in Manchester, with 57 of those reporting that they either lived outside, in cars, or in a makeshift arrangement without amenities. The statewide numbers are stark, especially given winter weather, but the homelessness problem is solvable, she says. And it’s not just a problem for low- to moderate- income residents, she adds. The New Hampshire Coalition to End Homelessness released its annual report in December, which found the number of homeless people in the state increased by 10 percent from 2016 t0 2018, to 1,450. We sit down with the coalition's director Cathy Kuhn to check in on the issue of homelessness, and what she thinks needs to be done to address it. Homelessness in New Hampshire has grown over the past two years, even as the state's economy has boomed. A report from The New Hampshire Coalition to End Homelessness says the number of homeless people in the state increased by 10 percent between 2016 and 2018 to a total of 1,450 people. The mayors of three cities in New Hampshire have come together to create a regional commission to address homelessness. Somersworth Mayor Dana Hilliard formally released the mission of the Tri-City Joint Task Force on Homelessness on Friday. Foster's Daily Democrat reports the first step for the task force will be to create a master plan that outlines how Dover, Somersworth and Rochester can create a more robust homeless shelter for the region. The city of Manchester is moving ahead with a plan to improve services for the homeless. The Manchester Board of Mayor and Aldermen approved a plan Tuesday night after complaints from homeless residents about the quality of shelters -- as well as complaints from businesses and residents about homeless encampments in the city center and parks.